Contrary to reports suggesting so, construction machines, building a facility at St. John’s church in Casablanca, did not affect the tombs in its graveyard. The Anglican church is the oldest building of its kind still in use in the city. In an article published Thursday, Arabic-language newspaper Hespress reported that construction works in the vicinity of St. John’s Anglican church have «damaged some tombs located in its graveyard». The online newspaper wrote that construction machines were, reportedly, building the foundations for a «café and a shop on the church’s yard, partially destroyed a section of the cemetery and some of the tombs in it». Moreover, the same source took a photo of the under-construction facility, claiming that «it noticed the destroyed tomb that was surrounded by cement to prevent it from collapsing». It also reported that some of the remains of the people buried in the church’s cemetery were transported «elsewhere», quoting the person in charge of the construction site. Hespress stressed that activists interested in the city's heritage denounced the alleged impacts these construction works had on the church. 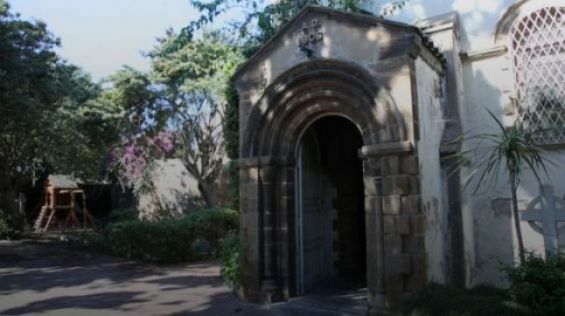 However, details published by Hespress regarding the construction works at St. John’s, the oldest church building in use in Casablanca, are far from the truth. «The information published in the newspaper is false», a well-informed source told Yabiladi on Thursday. The same source adds that «the picture published on the newspaper was a stolen one that was taken without any permission». Visiting the church’s graveyard, on the same day, Yabiladi noticed that all of the tombs were located far from the construction works, except one of them. The latter is bordering the foundations of the building which, according to the same source, is «a not-for-profit community center expected to benefit the church’s attendees». Moreover, Yabiladi realized that the tomb in question was left untouched and that it was surrounded by cement as to protect it from all the works next to it. 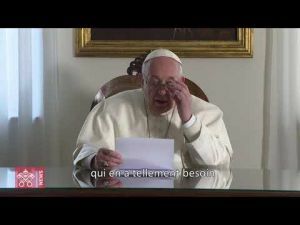 Yabiladi was able to take a look at the legal documents authorizing the construction works at the Anglican church, which is open for the English-speaking community in Casablanca. For the record, St. John’s church was built in 1906. Located right next to the Hyatt Regency Hotel in Rue Guej, the place of worship was located outside of the Medina's ancient walls. According to its guide brochure handed over to Yabiladi during a visit in 2017, Bruce Maclean, the British Consul in Casablanca at the time, ordered an architectural firm to lay the foundation stone of the church on the 12th of May 1905. By the summer of 1906, the church was ready and five years later, it was consecrated. St John the Evangelist's church, however, holds a historical value in the city as it served as a refuge for those who landed in Morocco during World War II and Major General George Patton was one of its regular attendees.